Home // Resources // Ag Safety S.T.A.T. - Safe Tactics for Ag Today // September 2018 // Are you Prepared? “Disasters Happen. Prepare Now. Learn How.” is the Department of Homeland Security’s campaign slogan for National Preparedness Month this September. Are you prepared? Thinking about and preparing can save response time and give you a jump start on recovery when faced with emergencies. The month-long campaign aims to encourage people to make an emergency plan, learn lifesaving skills and practical safety measures, check insurance coverage for homes and businesses, and save for an emergency by planning financially. To learn more and follow along with the weekly mission of the month-long campaign stop by their website at https://www.ready.gov/september. Resources are available for use by families and businesses. 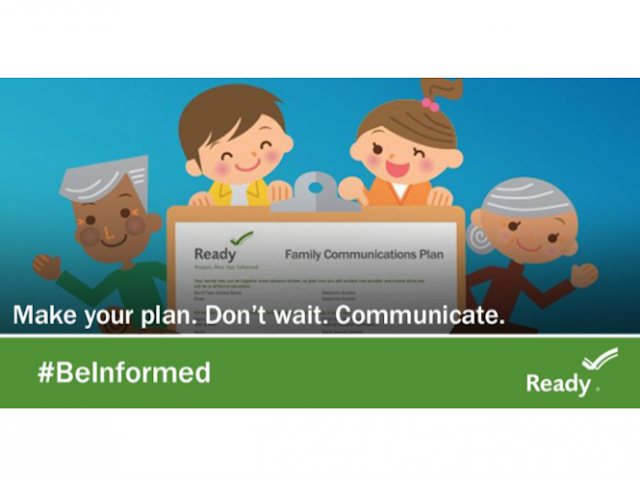 You will find fillable family communications plans, emergency supply lists, information for specific populations (people with disabilities, seniors, kids, commuters, pet owners), videos, social media content, graphics, and numerous links. Make sure you are prepared! For information about OSU Ag Safety, visit https://agsafety.osu.edu/ or contact Lisa Pfeifer, OSU Agricultural Safety & Health, at pfeifer.6@osu.edu or 614-292-9455.